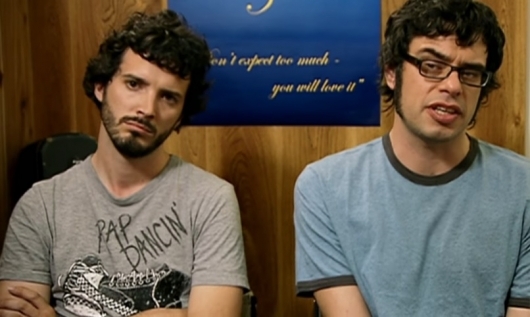 HBO has announced that a Flight of the Conchords special with Jemaine Clement and Bret McKenzie is coming later this year in the spring. New Zealanders McKenzie and Clement debuted on HBO in 2005 in an edition of the comedy series “One-Night Stand,” returning to the network in 2007 for the debut season of the series “Flight of the Conchords,” which followed fictionalized versions of their lives in New York City. The show was praised by critics and beloved by fans, turning the cult favorites into an international sensation. “Flight of the Conchords” earned ten Emmy® nominations over its two-season run on HBO, while their album “The Distant Future” won Best Comedy Album at the 2008 Grammy Awards. The Conchords have also enjoyed individual success. Clement’s film credits include the “Rio” movies (2011, 2014), “Men in Black 3” (2012) and “The BFG” (2016). McKenzie was the music supervisor for “The Muppets” (2011), which won him an Academy Award® for Best Original Song for “Man or Muppet,” and “Muppets Most Wanted” (2014).